I’ve juiced quite a bit but what a hassle. You clean, cut and the push your fruits and veggies through a hole that’s just barely big enough. Apples, carrots, spinach and anything else you discover in the back of your refrigerator. Then, out the back of your juicer shoots a huge spray of residual material, piling like wet sawdust. Then you slurp down the juice while starting the the cleaning process. Dismantle, rinse and then where to put everything…where to put it??? 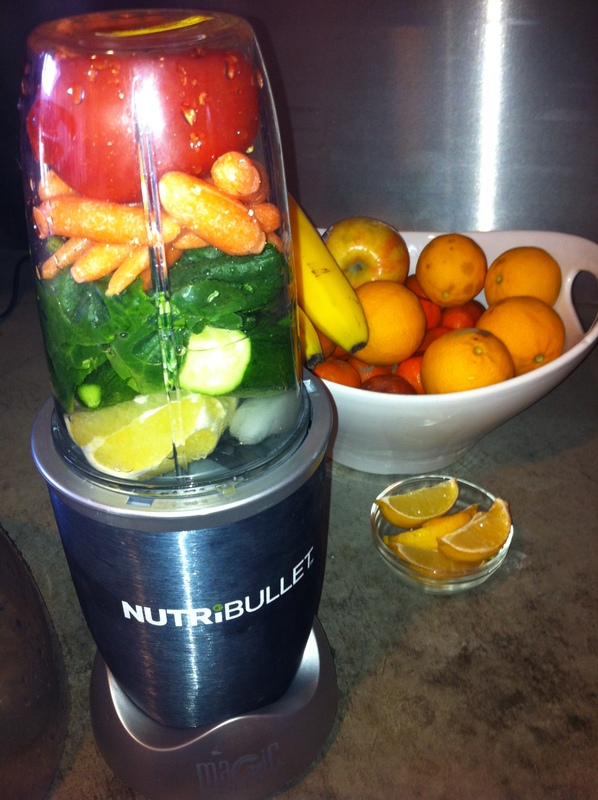 Then I discovered the NutriBullet. They’ve not asked me to write this – it’s just that I absolutely LOVE mine! 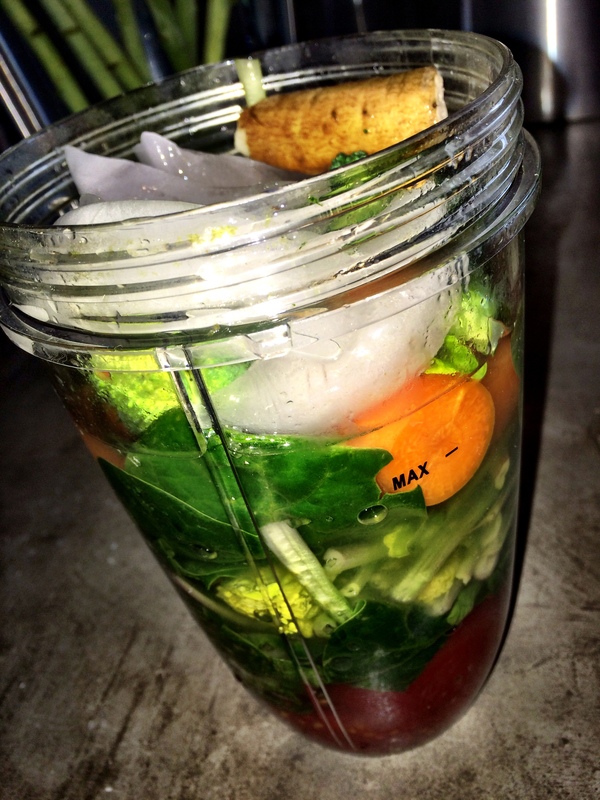 First, you drink the entire fruit / vegetable so it’s healthier than juicing. The setup is easy – you have a cup and a top. And cleanup is easy – rinse the cup and top. It has 600 watts of power so it can pretty much grind up anything. It can bust open seeds, crack through stems, and shred tough skin. 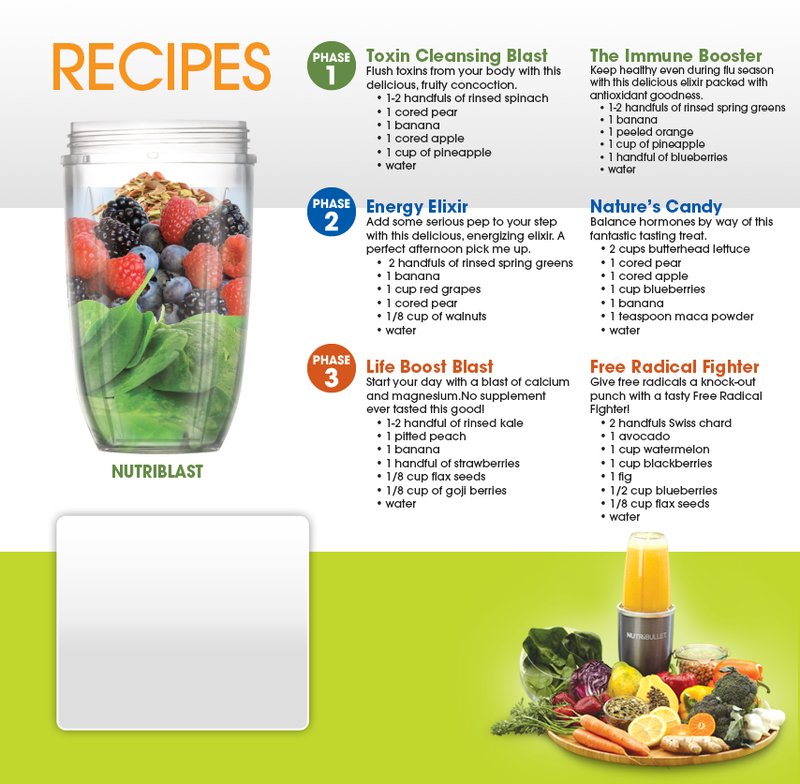 It has 8 vs. 4 blades like your classic blender – that helps too. Just shove the cup until it’s full. I swear your skin will glow after you drink it! If you try it let me know! Categories: Travel into My Kitchen! 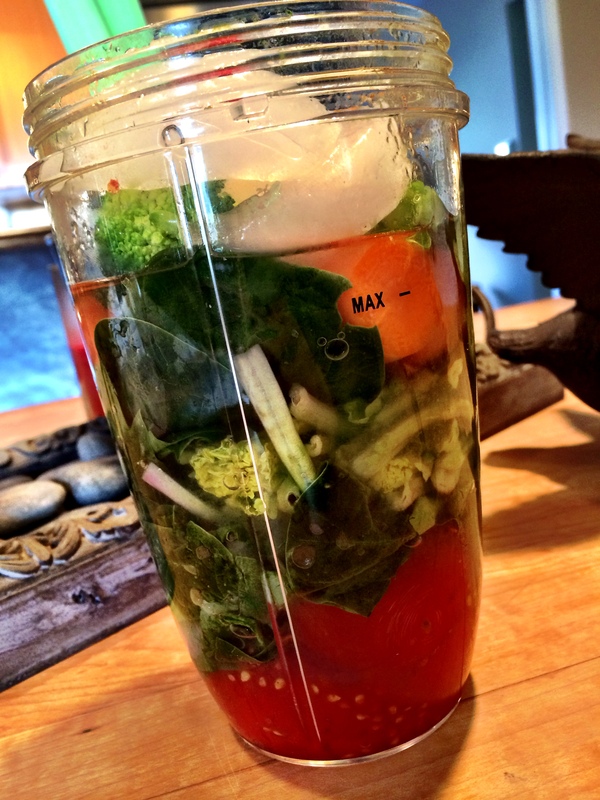 | Tags: blender, carrots, cucumber, detox, extract, flax seed, healthy, healthy eating, jucing, lemon, Nutribullet, parsley, photo, recipes, red pepper, spinach, tomatoes, yoga | Permalink.